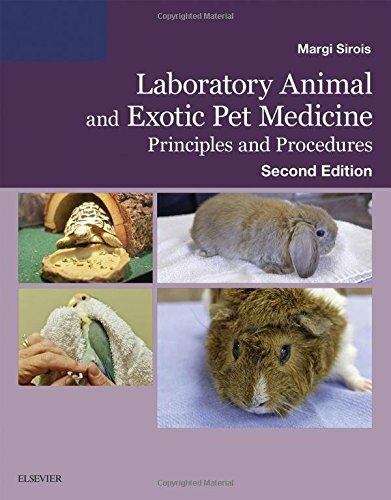 Learn how to properly handle and care for lab animals and exotic species with Laboratory Animal and Exotic Pet Medicine, Principles and Procedures, 2nd Edition. This comprehensive resource provides the latest anatomy, physiology, and taxonomy information on a wide variety of species ― including birds, reptiles and amphibians, rats and mice, guinea pigs, hamsters, rabbits, gerbils, ferrets, wildlife, woodchucks, armadillos, frogs, and fish. Coverage also includes a number of commonly performed procedures (such as blood collection, medicine administration, and animal husbandry) and in-depth information on housing, restraint, nutrition, common diseases, diagnostics, and therapeutics. Research-related information, including legal and ethical issues surrounding exotic animals being kept as pets, as well as the humane use of animals in research, make this text a must-have resource for any aspiring vet tech or professional who must work with lab animals.